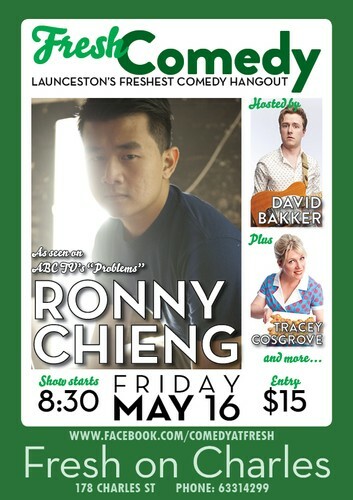 Ronny Chieng is a rising superstar of comedy, and we have managed to lasoo him on his way into the stratosphere to headline our May '13 show. Plus a selection of Tasmania's finest comedians to support and hosted by David Bakker. Ronny Chieng is a stand up comedian. In 2012 Ronny won the Best Newcomer Award at the Melbourne International Comedy Festival. The same year he was also invited to perform at the prestigious invitation-only Just For Laughs Festival 2012 in Montreal, as well as at the SOHO Theatre in London’s West End. In 2012 Ronny was named by The Age as one of the top 5 up-and-coming acts to watch, and by the Sydney Morning Herald as one of the top 10 rising comedians in Australia. Ronny also starred in the ABC TV Comedy Show “Problems”. 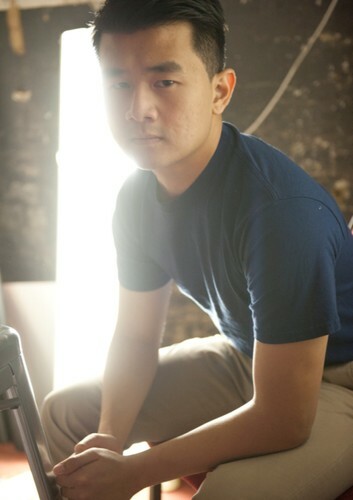 Ronny Chieng is a Chinese guy, born in Johor Bahru, Malaysia, raised in New Hampshire, MA USA and Singapore. He went to Australia to attend the University of Melbourne, and he graduated with a Degree in Commerce and a Degree in Law in 2009.